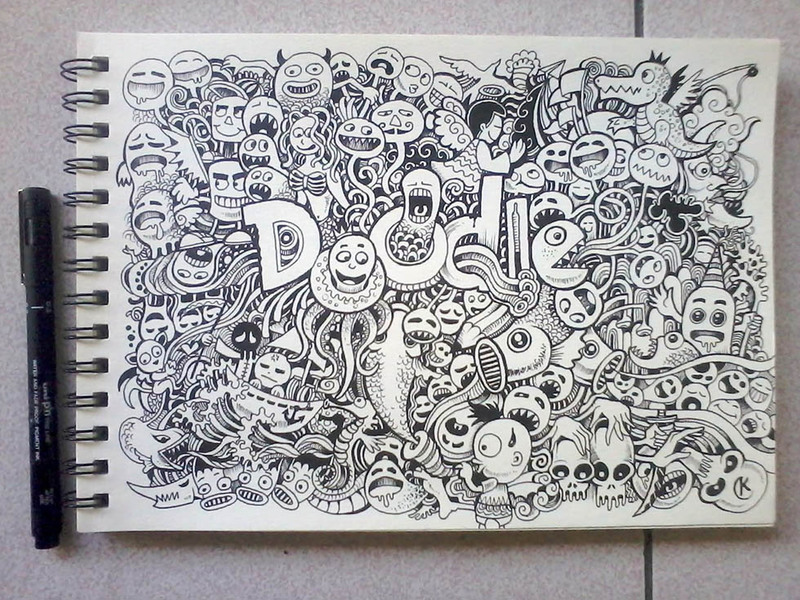 Doodle: The dictionary meaning of doodle is scribbling absent mindedly something. 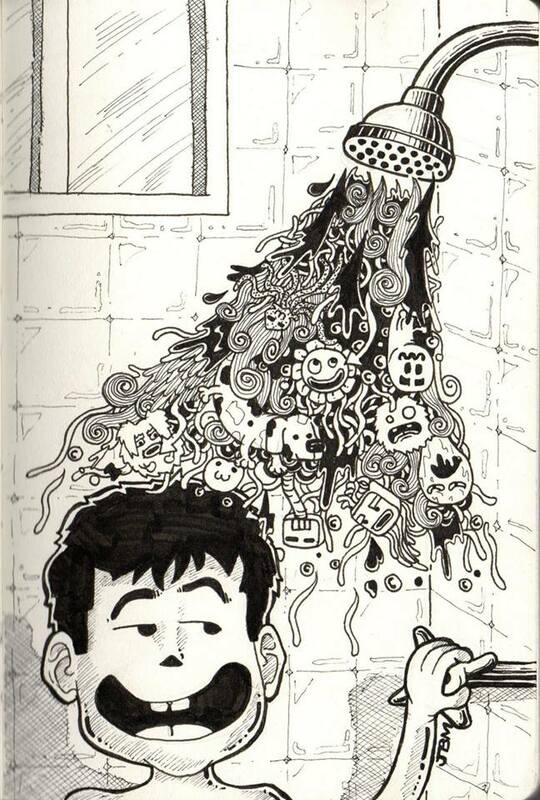 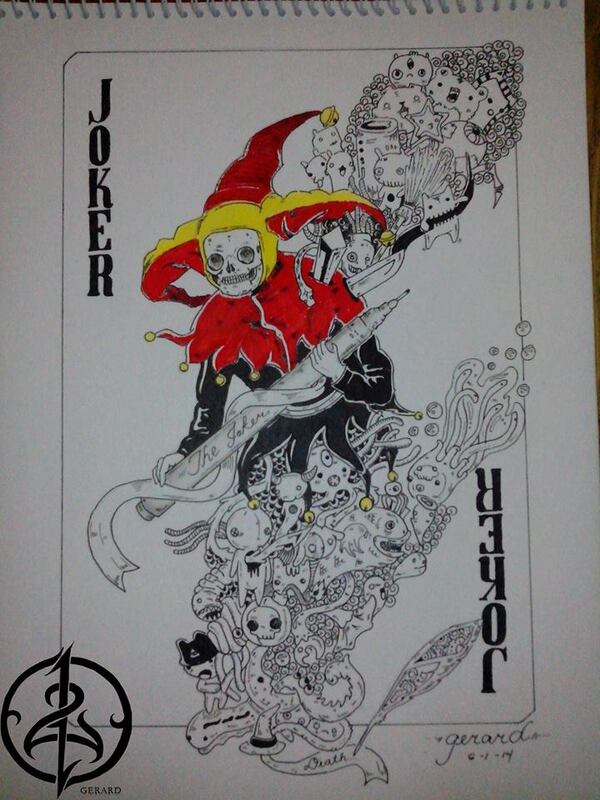 It’ s also a kind of drawing using the sub conscious mind. 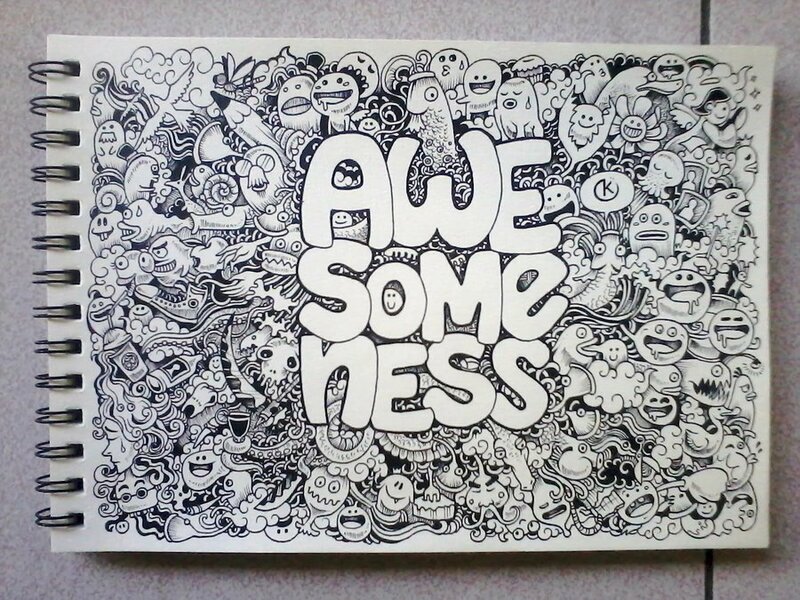 The great thing about doodle is, you just need a paper and a pen and off you go because inspiration can happen at any time. 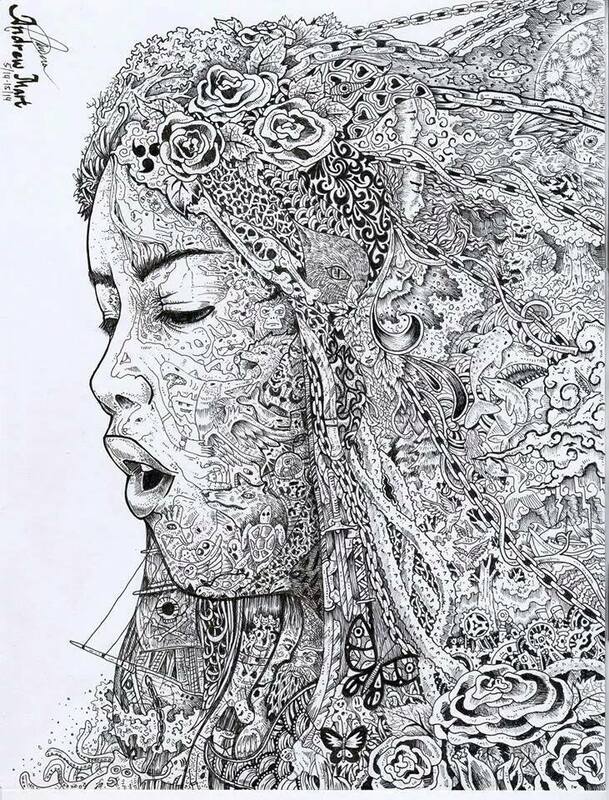 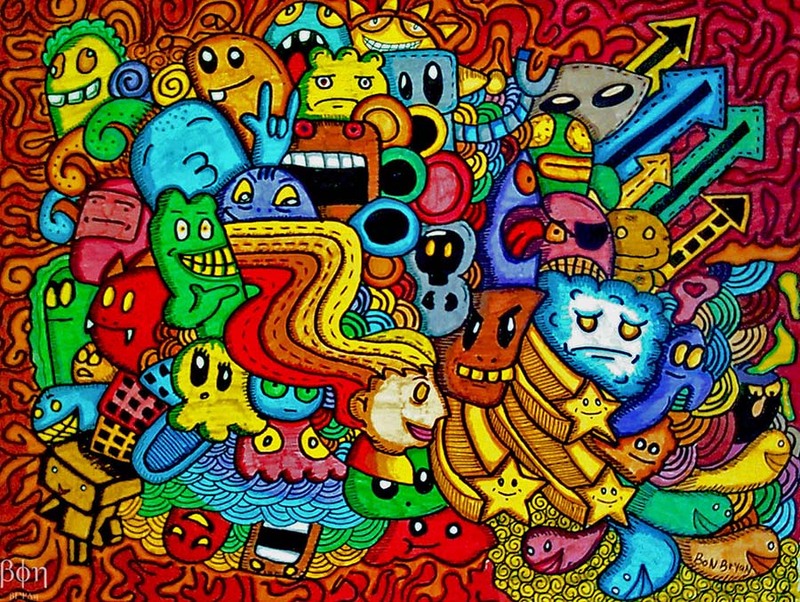 Many artists have created even portraits of celebrities using the doodle form. 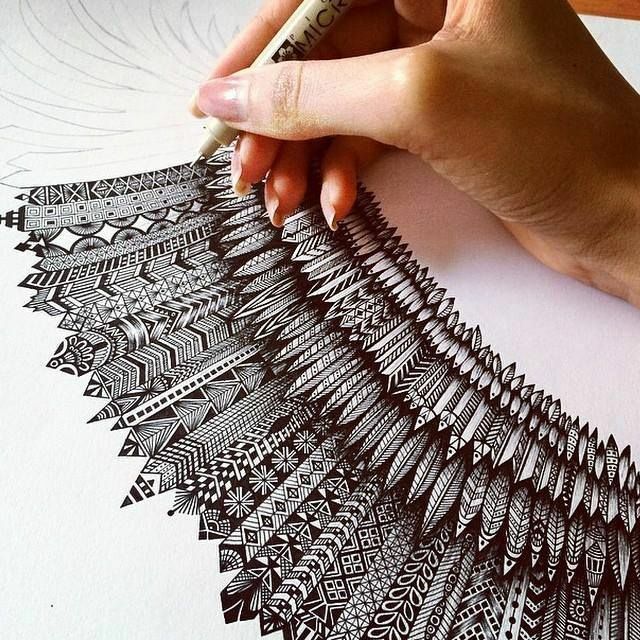 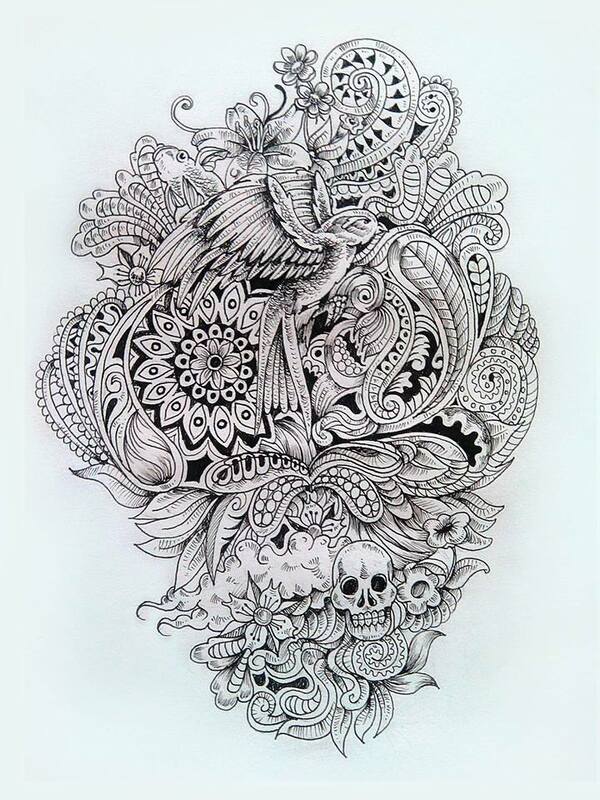 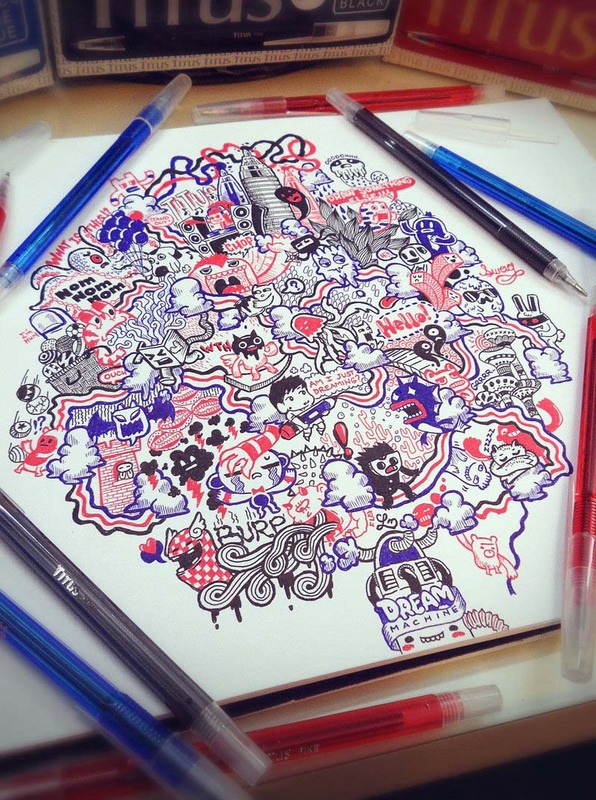 Doodles are mostly abstract designs created without lifting the pen off the paper. 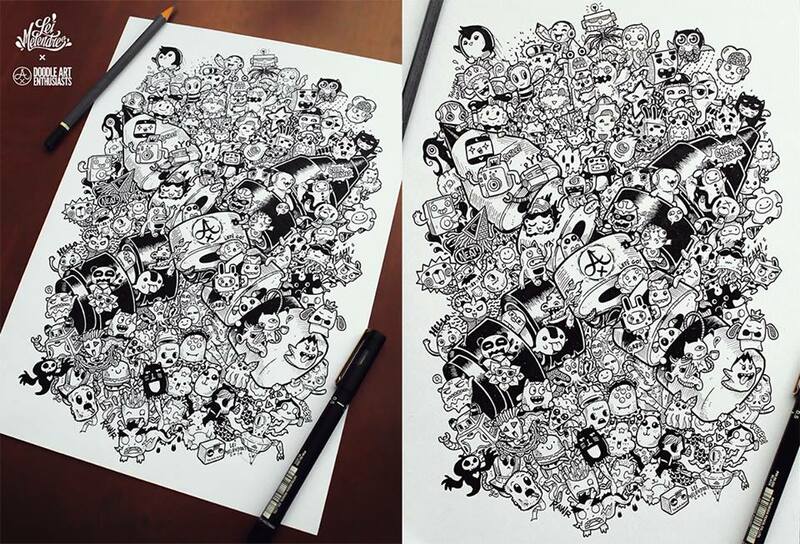 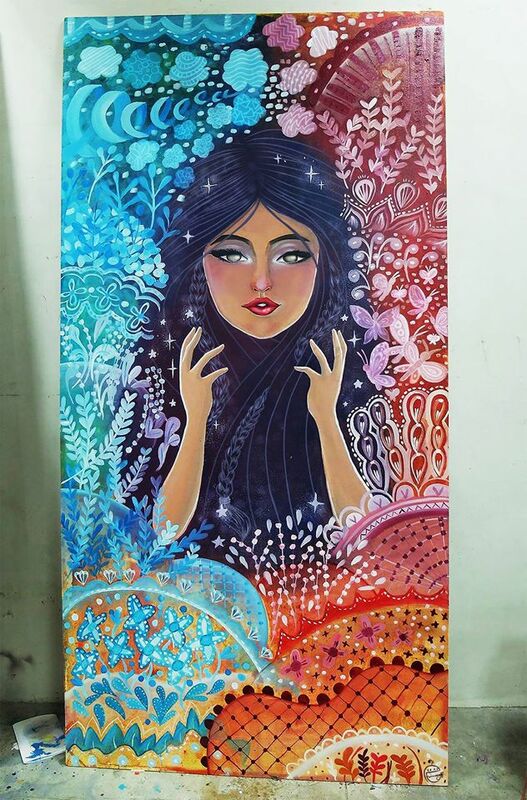 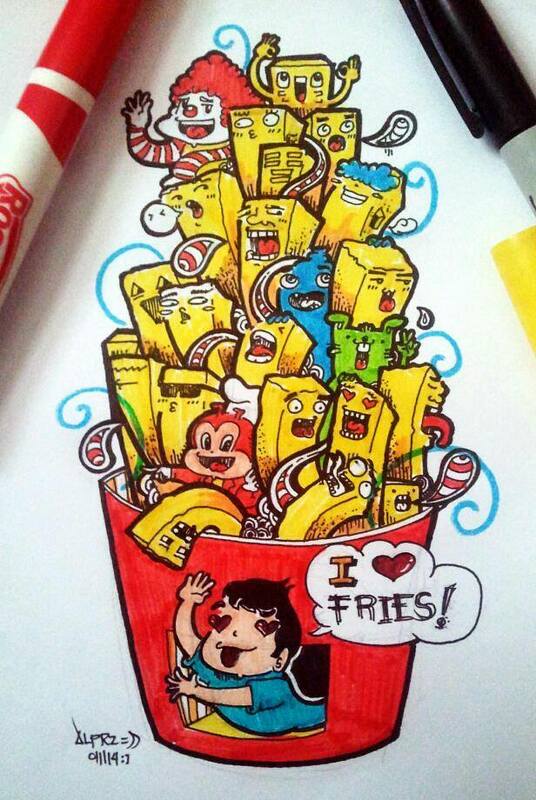 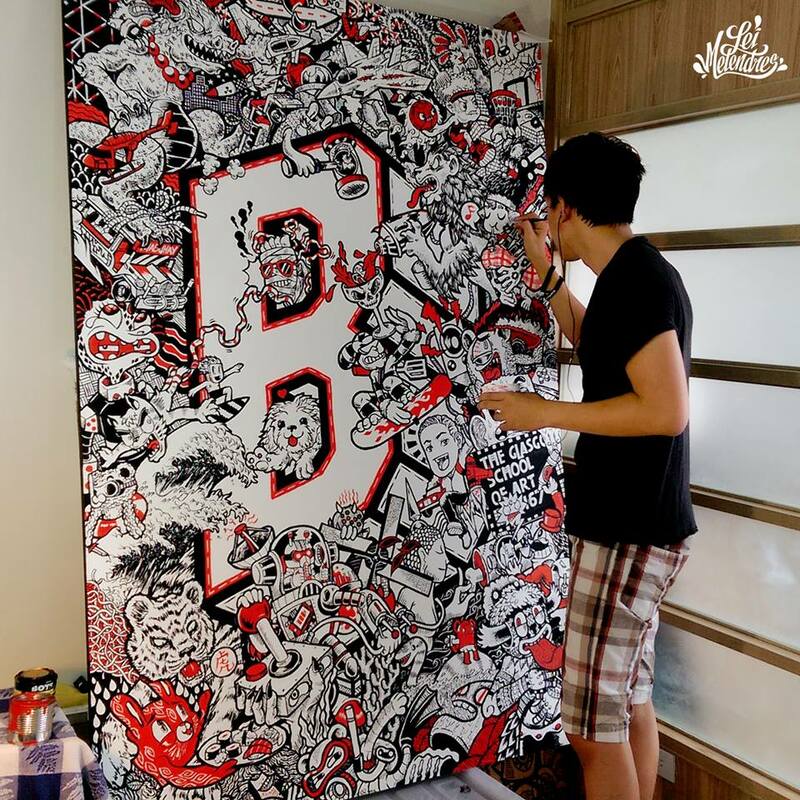 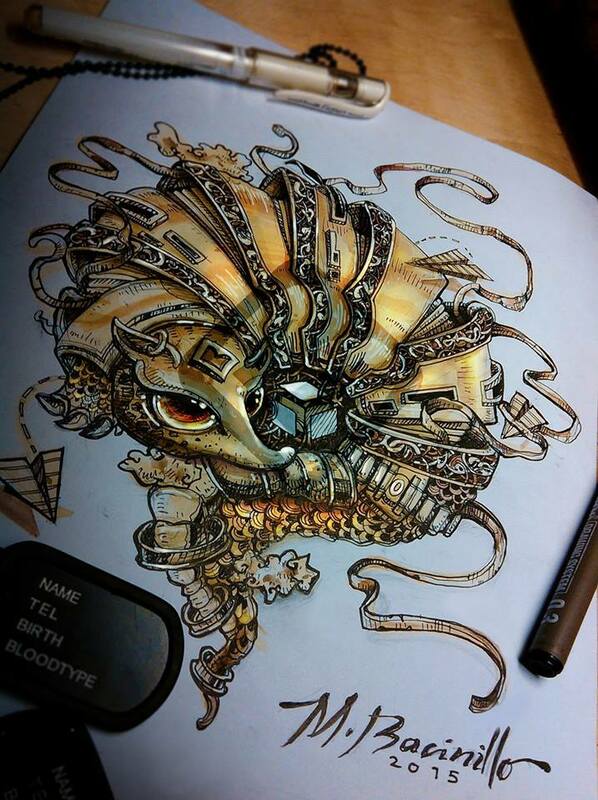 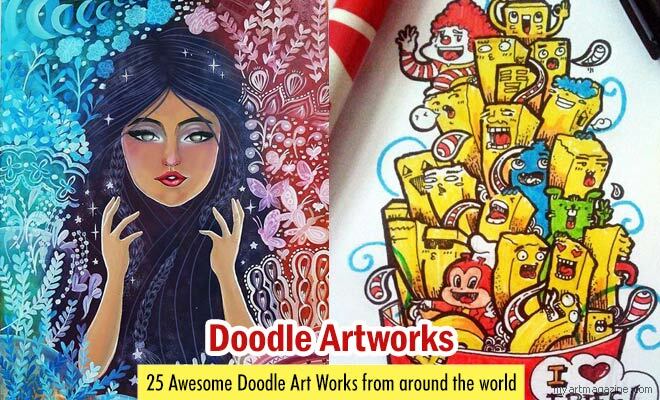 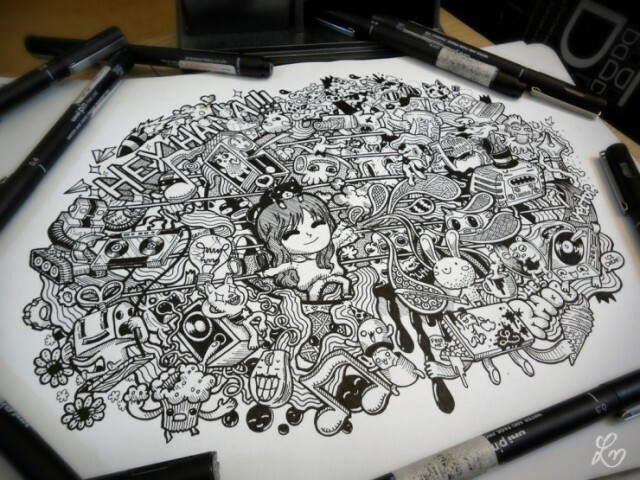 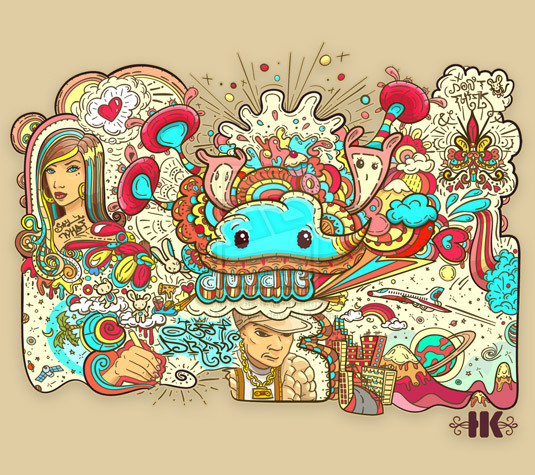 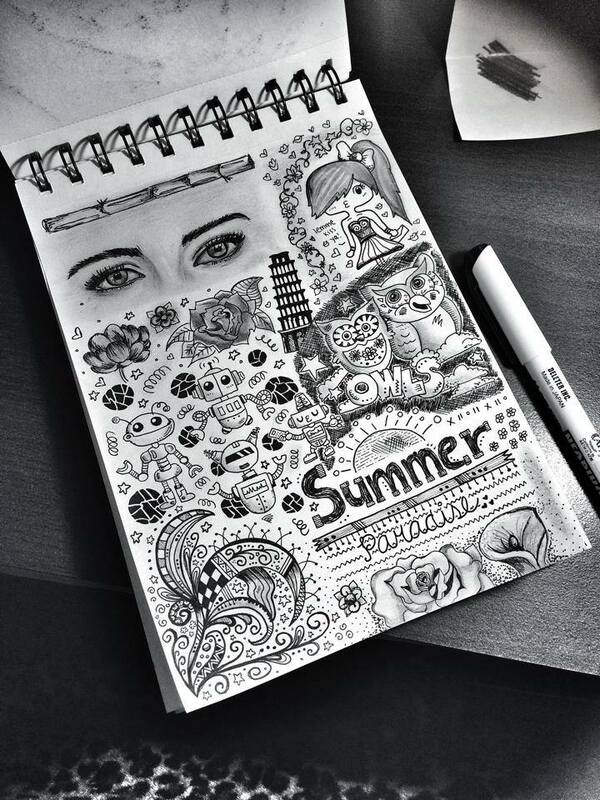 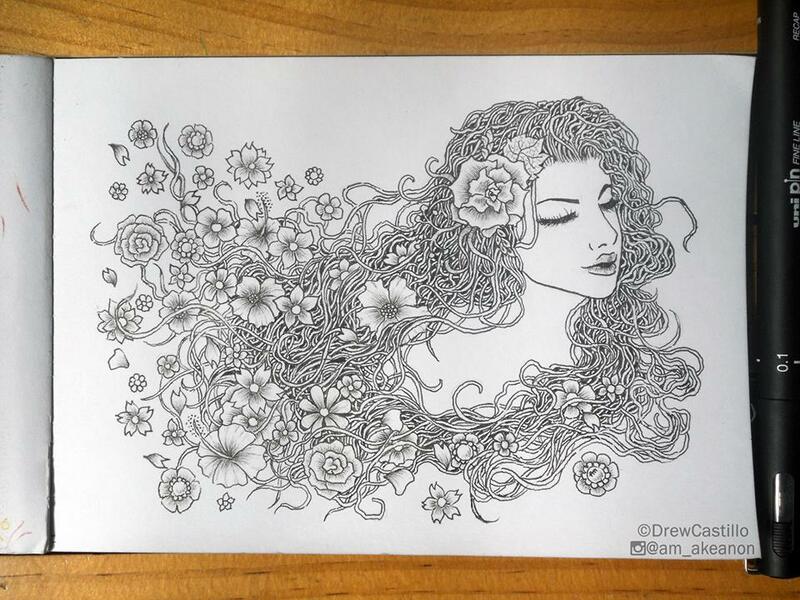 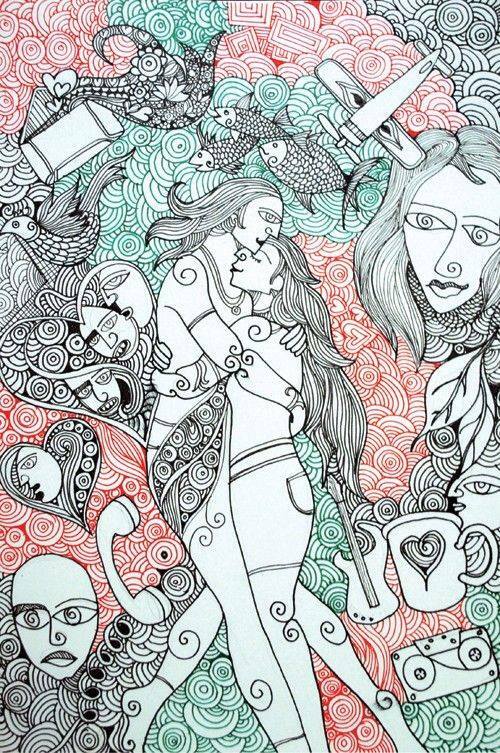 In this post we have included 25 Awesome Doodle Art works from around the world.